I took Sundew, which turned out to be pretty common. Doubly regretted it since I’d overestimated its utility based on JintekiRP and didn’t get cards that support it well – was not happy to draw it generally. I took Quandary before realizing later those were everywhere and die to Overmind. Think it was the best value in here though. Known as the ‘god pack’ in our draft. I took Celebrity Gift. The Future Perfect. Need it for my 2nd Jinteki deck too, win. NEXT Bronze was tempting, and I realized afterward I’d drafted 2 NEXT Silvers and no Bronze while Jared to my left drafted 3 Bronzes and no Silver! I went for Ice and agendas early, and started collecting Grails when my first 3 draft hands all had an abundance. These were phenomenal, especially with people not being familiar with them yet (e.g. I have a killer so I’m not afraid of program-trash, but I hit a Lancelot code gate or a Galahad barrier that reveals a Lancelot, doh). Didn’t try anything fancy since I wasn’t seeing the combo pieces, just strong Ice and economy. Um yeah, I passed up R&D Interface and took Battering Ram which turned out to be way common… was afraid of other players going hard on icebreakers based on my last experience in Cyber War. I picked Hemorrhage, but HQ Interface was better, I think. 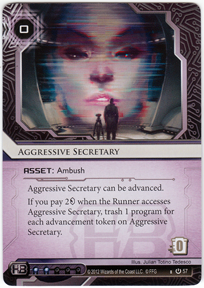 There was an outcry all around about Runner economy being terrible and people having to resort to Hard At Work, Grifter, Tri-Maf (which turned out to be clutch for everybody) etc. I pulled Security Testing from my last 2 packs and gleefully top-picked it, thinking I had an advantage and got TWO of them. Turns out everybody was concealing the fact that they had top-picked Security Testing too and nearly everybody had 2 copies, hah! Should have definitely picked Ghost Runner to go with my Dagger, didn’t realize it was a stealth card. Security Testing again, and that truly looked like the only one worth of note in this pack. 33 cards, but I couldn’t figure out what to cut since the last few additions were equally crap, and decided to heck with it, since I nearly decked out a couple of times in my last draft against damage-centric decks (albeit with Quality Time). I drafted any economy I could find and tried to reduce reliance on Overmind by drafting non-AI breakers. Aesop’s in the last draft round was huge (player 1 had picked Lucky Find, player 2 had taken Datasucker, I was player 3) and made me dare to include Hard at Work, but by that time I’d already let the Cerberus icebreakers go; picked up a D4vid for cheap after that. In the Corp game, I made several mistakes but still pulled off a close 6-5 win, hinting at the upper hand for Corp. I hadn’t drafted anything to support Sundew, but lucked into one by installing Galahad in front of it and revealing Merlin (2 net damage) when he ran there first click to deny the credits. I then dumbly installed Merlin elsewhere and he trashed my Sundew. When I had a 2nd Sundew in there, I should’ve let him in and drained his credits to open a scoring window but accidentally locked him out with another piece of Ice. The last turn was my installing an Ashigaru on the remote and advancing the winning agenda, but vulnerable against HQ Interface since I topdecked an agenda, but he didn’t look there. I realized 1-pt agendas aren’t good with currents, since my Paywall kept getting shattered by Brian stealing a 1-pt agenda off undefended R&D. There was a nice sequence there though where I’d sit pretty whether he ran successfully (Paywall) or failed (2 Successful Demonstrations). Dang it Brian, what are you doing bluffing AggSec at 1-0 with me not having a decoder out!? The whole room heard my scream as Scheherazade went to the trash, taking with it my Cloak, Dagger and ZU.13. I only had Paricia left. I was so traumatized I took my 2 copies of Scheherazade out for the next game (and promptly put back in Round 3 after deciding I needed more economy and hoping the AggSecs were gone — they weren’t, but I found another one in R&D later on). Brian used the window to score a 3-pointer while I scrambled for emergency breakers and a Current to remove his Targeted Marketing so I could get Overmind down. More rudeness later when I got tagged while stealing a TGTBT on last click, losing my Security Testing and Grifter (the Grifter because I chose not to run for a credit without Security Testing backing it up). It wasn’t close, 2-6 or something. Brian pulled off a triple Successful Demonstration turn. Adam, unlike me, drafted intelligently to set up his Sundew. He got a PAD Campaign out, then Hostile Infrastructure (deal 1 net damage every time Runner trashes something) and Sundew. Since I liked all the cards in my hand and I didn’t have backup copies, this meant I had to set up to trash Hostile Infrastructure first, then the Sundew. By that time, the Corp had run away on credits (this happened a lot, very hard to keep the other side poor in draft). Don’t remember much else, except I lost and it wasn’t close. I got a Cloak + Dagger + Paintbrush combo going but it didn’t do much, maybe because he stacked Ice. On Corp, I got to surprise more with Grail Ice. Had a strong remote which he couldn’t get in at matchpoint, so he went hunting with R&D Interface and got 2 points. He could’ve won with an extra click to go fishing in Archives or HQ. I was leading early before he climbed back thanks to Rachel Beckmann. The only tagging ability I had was TGTBT so he had plenty of 5-click turns. On the runner side, I set up Hemorrhage and Security Testing, but never got him to knock out an agenda. He ran Trick of Light (and had two 3/2, both Accelerated Beta Test), and sat on matchpoint forever, while I waited him out, hoping to set up for a big run, either in HQ or Archives, once he made the move for matchpoint. He only had 2 cards in R&D left, drew one and looked shocked; the previous player had forgotten to return agendas! Popular opinion was to replay the game so I obliged. D4vid shone here against Inazuma + Viktor 2.0 (both 5-str). Except the rematch wasn’t really a game thanks to ridiculous luck. He rushed out an Accelerated Beta Test, decided to trigger it based on what he had seen, and the ABT Rule came into effect (“the more you try to beat the odds, the more they beat you”). No Ice came out, I checked out Archives and found The Future Perfect, won the psi game, then ran R&D with a spare click and found another 3-pter. Over on Turn 3. On Corp, he felt safe running my R&D after seeing my Merlin earlier and installing an Alias. But behold the power of Grail Ice! He found Lancelot lurking instead (Code Gate destroyer! ), who ate Alias, then Merlin came in from HQ to knock out Passport and another breaker in hand. He was totally demoralized. I scored a 5/3 (the one that makes agendas harder to steal), but he got his rig back together thanks to a Deja Vu, and got to pressure R&D again. Mostly central-server breakers though, so I scored an Encrypted Portals (after toying with him by advancing it twice to bluff a 5/3), which was huge because the +1 strength to Lancelot now made it cost 7 instead of 5 for Alias to break. I trolled him again when I bluffed a 4/2, but scored another 3/1 to get to 5-2. Wasn’t drawing the agendas despite using clicks, and he only got stronger while I searched. Finally got an agenda to put into matchpoint with 4 cards left in deck. He readied everything for a glory run and just had enough, losing all his programs and his hand for one last shot with R&D Interface… he pulled 4 points for the potential win, but 3 were from The Future Perfect… and I won the psi game! Cleaned the match up afterward. Won thanks to the psi game! On Corp, I attempted to rush an agenda behind something + Quandary against his Overmind. Inside Job! He had first-picked that! The next turn, I figured there could only be one Inside Job, and attempted to score again. Deja Vu + Inside Job! And just like that, I was down 1-5. I climbed back slowly, scoring two more 1-pt agendas. The good thing was my 2 Encrypted Portals and 1 Superior Cyberwalls put all my Quandary and NEXT Silver out of range of his Ice Carver + 0-str Atman. Eventually, the waiting game ended, i scored out 2 more agendas and he revealed his critical flaw: he had failed to draft any fracters. It was close still, with the winning agenda being the last card in R&D out of 3-4 cards. On Runner, I went huge-rig with Omni-Drive, CyberSolutions etc all hitting the table to make room for my Paricias, Hemorrhage, Cloak + Dagger + Paintbrush, Overmind, D4vid and co. Felt really like a Shaper with so many breakers to track. He went NEXT Bronze everywhere (he mentioned he scored 3 Encrypted Portals last game, but I stole 2 this time), and I had trouble breaking code gates + I was spinning my wheels installing things in the wrong order (D4vid on the Omni-Drive, no room to install Paintbrush before trashing Overmind etc). But I got lucky in the end when he kept drawing and left himself little time to score out, and installed winning agenda with 2 cards left in deck. I ran R&D, hoping to trash something so he could deck out before he could win (I believed he needed 2 turns to score it), and found a 3-pt agenda instead. Jared built arguably the strongest decks I faced in terms of theme, but had a critical flaw here and there (e.g. no fracter). – Loved how certain cards shone in certain games. I couldn’t put in as many copies of what I liked and couldn’t fully build toward a theme, so there was a resulting unevenness in draws and in-game experience; I’d remember games as the “Hemorrhage game” or the “Paintbrush game”. – Very difficult to keep the Corp poor. All games featured a ‘runaway Corp’. – Grail ICE was stupid good, especially because people hadn’t learned to look out for it yet (see Round 3); may vary in future as more people draft it and more people are aware of it. – You can tell from my decks, but runner economy was difficult, basically amounting to getting 2 credits on 1 click a turn. – Paywall Implementation aka Desperado for Corp was my MVP, especially with everybody doing Security Testing (in fact, I kept forgetting to take the credit because Security Testing feels like taking credits, not a run). Doesn’t synergize that well with 1-pt agendas though. – Corp Currents seemed better; I packed Runner Currents just to counter them.